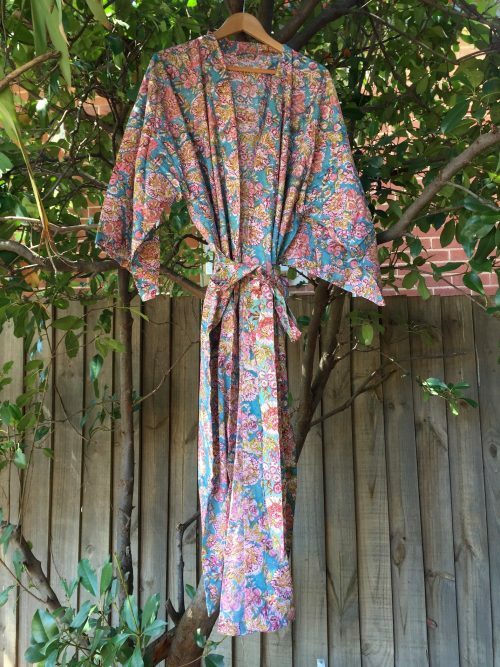 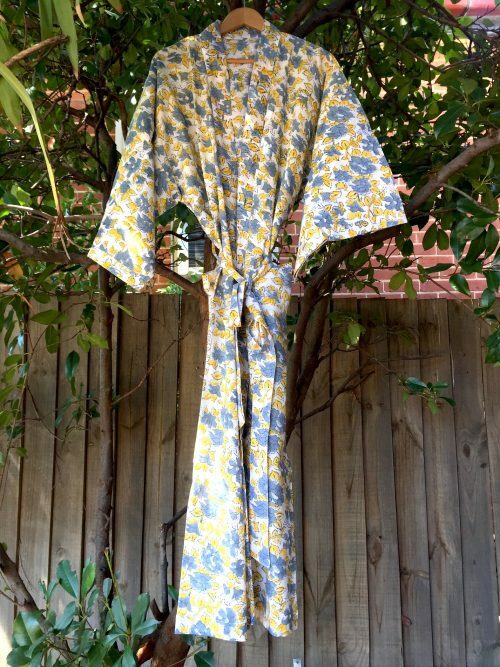 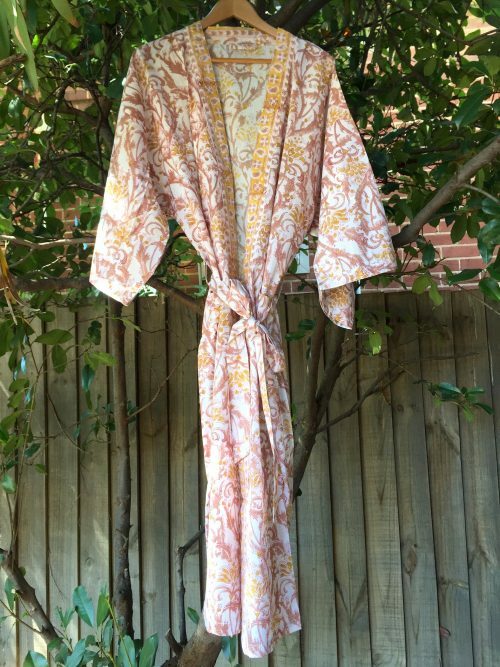 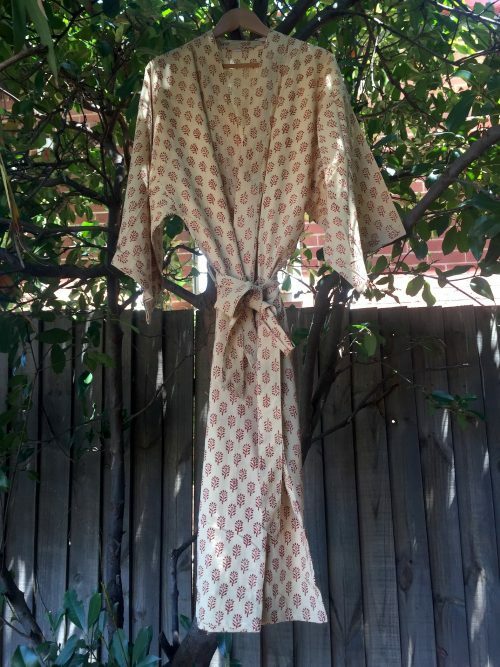 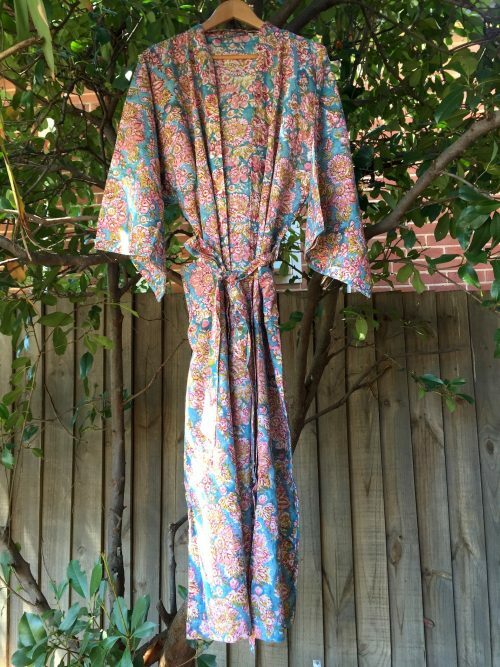 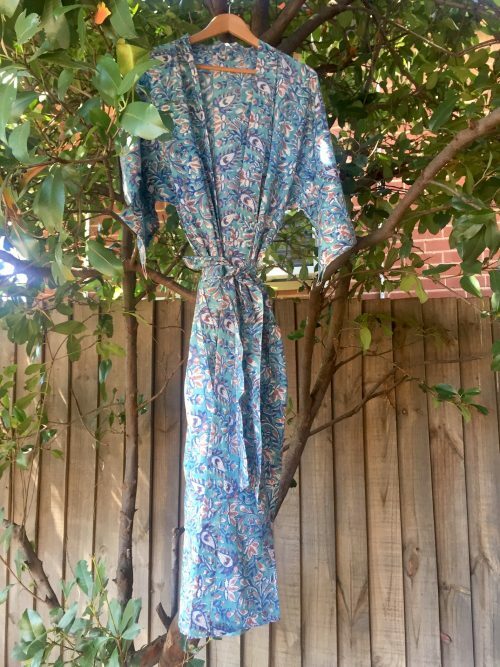 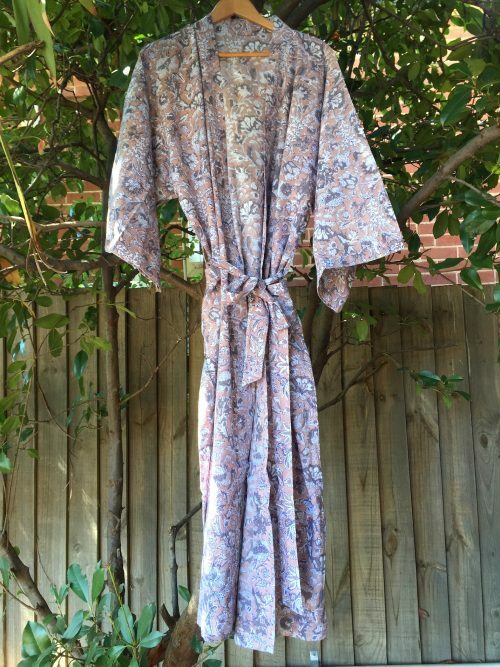 Block Printed 100% Cotton Kimono. 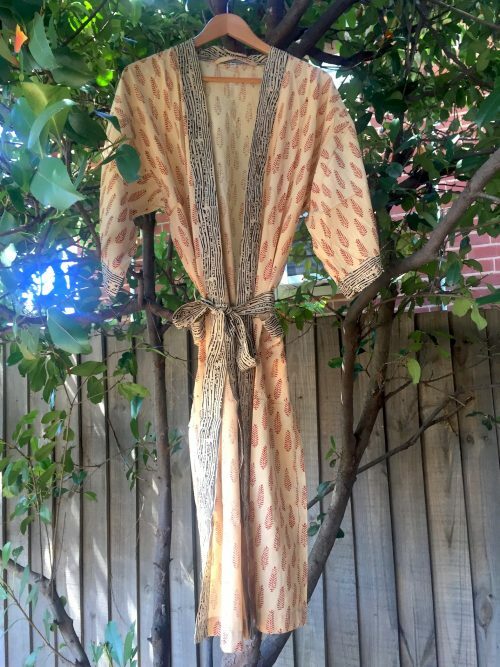 LARGE fits size 10-12 Full length with wrap belt. 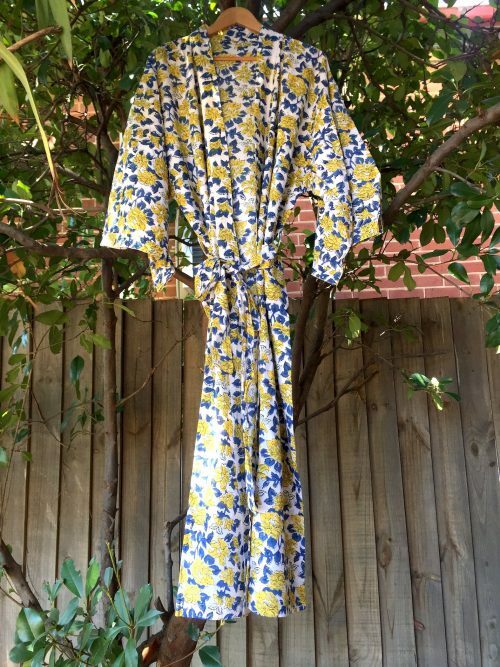 Comfortable, Soft and can be worn all year round. 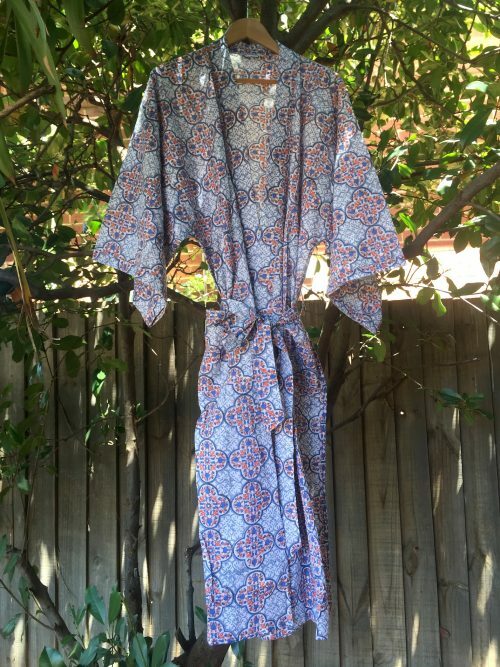 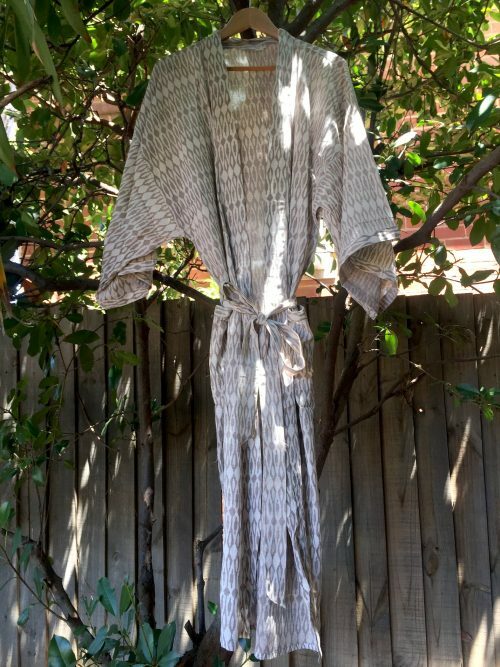 Block Printed 100% Cotton Kimonos. 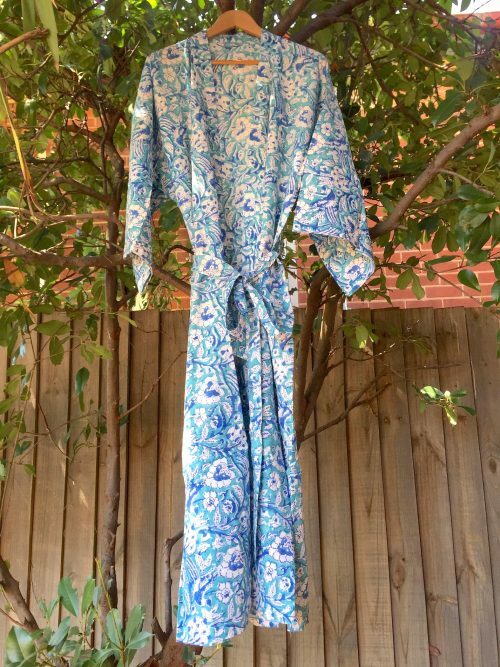 XLARGE fits size 12-14 Full length with wrap belt. 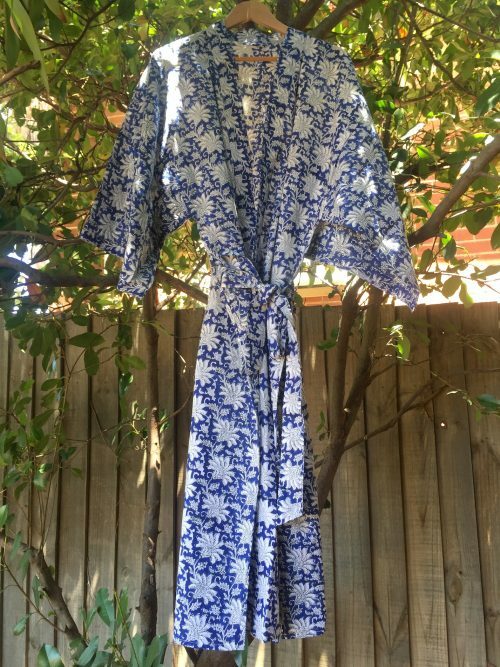 Comfortable, Soft and can be worn all year round.